The supercomputer HAL 9000 in the science-fiction masterpiece "2001: A Space Odyssey" is best remembered for the chilling way it killed astronauts. Now, scientists are working on a HAL-like artificial intelligence to help astronauts without murdering them, and their prototype successfully controlled a simulated planetary base for hours. In "2001: A Space Odyssey," HAL 9000 is the artificial intelligence controlling the nuclear-powered Discovery One spaceship. In the novel by science-fiction legend Arthur C. Clarke written alongside the film, HAL is described as capable of talking with astronauts "in the perfect idiomatic English he had learned during the fleeting weeks of his electronic childhood." 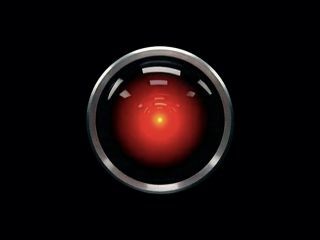 "When I saw '2001,' I knew I had to make the computer into another being, a being like HAL 9000," he recalled in a study appearing online today (Nov. 21) in the journal Science Robotics. The artificial intelligence software that Bonasso and his colleagues have now designed, dubbed the "cognitive architecture for space agents," or CASE, is composed of three key layers. The first is a continuously running control layer that connects to and runs hardware such as robotic hands and eyes. Specifically, CASE controls a simulation of a planetary base. The second layer carries out procedures underlying routine activities. These include connecting power to batteries, controlling oxygen-generation and carbon-dioxide-removal systems, and charging and sending rovers to retrieve samples of planetary rock. The final layer consists of automatic planning software that decides how to achieve CASE's programmed goals for the day and the order in which to perform them. It can also automatically reschedule activities when problems arise, such as gas leaks, broken motors or planetary dust storms, Bonasso said. All three layers are linked to an ontology server — a rigorous, exhaustive database that can reason about its data. For example, if someone moves a toolbox from the equipment locker to the crew quarters, the ontology server reasons that all of the tools in the box will change location as well, the researchers said. The software can visually display information such as those regarding life support and robot status, but can also converse with people so they can ask questions, send commands and be warned about any impending problems. To prevent a situation like one where HAL betrayed its astronauts, CASE is designed to carry out plans only after sharing them with people and getting consent for action. "Our colleagues and NASA counterparts are not concerned that our HAL might get out of control," Bonasso told Space.com. "That's because it can't do anything it's not programmed to do." Moreover, "though CASE is impressive, it's not the fully realized HAL from '2001: A Space Odyssey,' nor is it Lt. Commander Data from 'Star Trek: The Next Generation,'" Bonasso said. "Its capability is very narrow, focused on events occurring on a planetary base. While it can keep the life support systems running, it has no idea who won the last presidential election." Sometimes Bonasso loses track of how this work aims to create a real-life version of HAL for distant astronauts. "When you're deep in the workings of software, you forget sometimes that you're actually imagining what it would be like to live on Mars or the moon," Bonasso said. "Sometimes we have to step back and say, 'Hey! This is pretty cool.'" Follow Charles Q. Choi on Twitter @cqchoi. Follow us on Twitter @Spacedotcom and on Facebook. Original article on Space.com.